Breaking Bad: What Happened to Saul's Assistant Huell? It's virtually impossible for any TV series to wrap up every single little loose end in a series finale. The last episode of AMC's Breaking Bad was certainly beloved by fans and critics alike, ending their five-season run with a swan song that is still talked about to this day, after originally airing in September 2013. 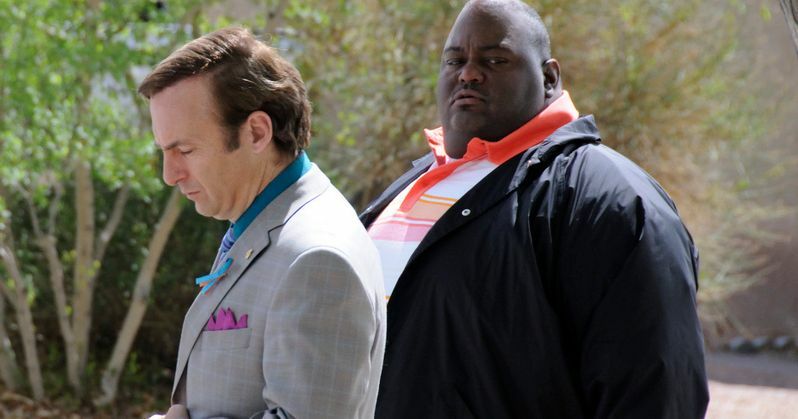 There was one minor character whose fate was left hanging in the balance, Huell (Lavell Crawford), Saul Goodman's (Bob Odenkirk) associate. Huell was picked up by DEA agents Hank Schrader (Dean Norris) and Steven Gomez (Steven Michael Quezada) as part of their plan to catch Walter White (Bryan Cranston). He was taken to a safe house and told not to leave or contact anyone outside until they return, although, of course, Hank and Steven never do return. A Reddit user discovered that series creator Vince Gilligan actually addressed Huell's fate in an official Breaking Bad book, which you can read an excerpt of below. "Yes, sadly he's waiting morosely on that sofa, looking like a lost puppy... [Laughs] No. It's likely that Agent Van Oster keeps in touch with DEA headquarters. So when he learns Gomez and Hank have gone missing, he would in short order tell his superiors what they were up to. Within a matter of hours, really not that many in story time, Huell will be taken back to HQ. They'll question him, find out what he knows-which isn't much-and he'll be let out on the street. Right now, he's doing what Huell does best, whatever that is. He's out and about as a free man." Unlike Jesse (Aaron Paul) and Saul, who were essentially forced to go on the run, Huell got off scott-free. It's worth noting that Funny Or Die came up with their own theory, that Huell never made it out of that safe house, and is essentially living in a zany family sitcom entitled Huell's Rules. Check out the video below, and let us know what you think happened to Huell on Breaking Bad. Breaking Bad Movie Is a Sequel That Follows Aaron Paul's Jesse Pinkman?